After years and years of trying what feels like every product under the sun, I can honestly say it's very rare to find a product that does everything it says on the tin. Good Genes by Sunday Riley is one of those rare gems, which is why it's achieved cult status and is so well loved by beauty editors the world over. So what is it? Described as a 'treatment' it's essentially a serum that can also be used as a mask or added into a cleanser to give it a boost. I personally tend to stick to using it as a serum or mask as when it comes to cleansing I usually go for balms and oils over creams and gels. It contains 40% pharmaceutical grade lactic acid, the highest amount you can get in a product without a prescription. So it packs a serious punch results wise, lactic acid exfoliates the skin but larger than glycolic acid molecules mean they don't penetrate as deep. They work more on the surface so don't cause irritation or problems for sensitive skin. Lactic acid is also a great hydrator, it boosts the amount of hyaluronic acid naturally present in your skin. This means that it evens out rough texture, stops pore build up and plumps out dehydration lines. It also contains lemongrass, to boost skin circulation (the more blood at the surface of the skin, the more radiant your complexion and any blemishes/scars will heal quicker). Liquorice, one of the few ingredients proven to reduce hyperpigmentation has also been packed in, meaning that together these ingredients make this the best product for tackling pigmentation and uneven skin tone. Trust me on that one, I've tried most of them as pigmentation is something my skin is extremely prone to! I have a rule with serums, I don't review them until I've used at least half of the bottle. This one definitely passes that test as I'm nearing the end of my 4th bottle, or is it 5th? Honestly, I've lost count! Needless to say it's a product I will buy again and again, I can never be without it. I use between half and a full pump every other night and I find this works very well for me, that way the bottle lasts a bit longer. Sensitive skins should start by using it once/twice per week to see how you go before stepping it up but you can use it once or even twice a day if you want to. I tend to go up to once a day or use it as a mask if I've got something coming up that I want to look really good for! It goes without saying that this product is extremely expensive, so do I think it's worth the money? Simply put, yes. Particularly if you have uneven skin tone/hyper pigmentation/acne scarring which bothers you enough to want to sort out. My advice would be to save your money elsewhere and spend it on this! 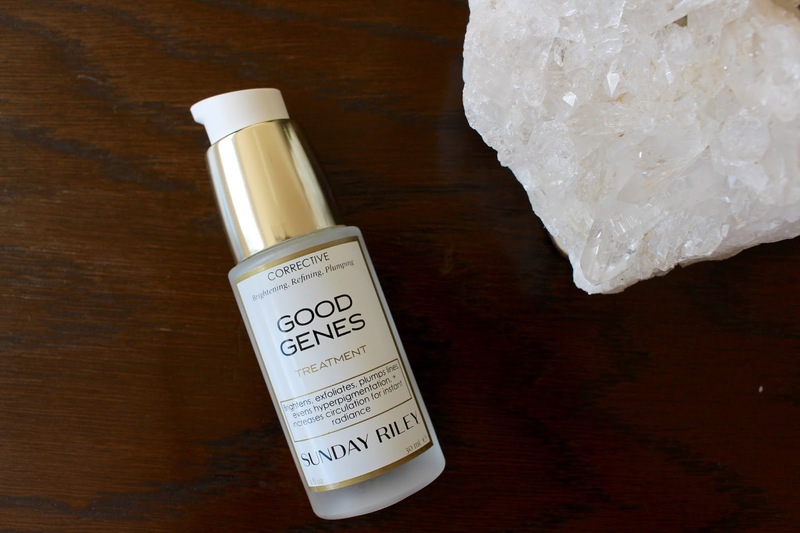 Sunday Riley Good Genes Treatment is £85 from Space NK and $105 from Sephora. Vlog: Not such a good deal on reflection! 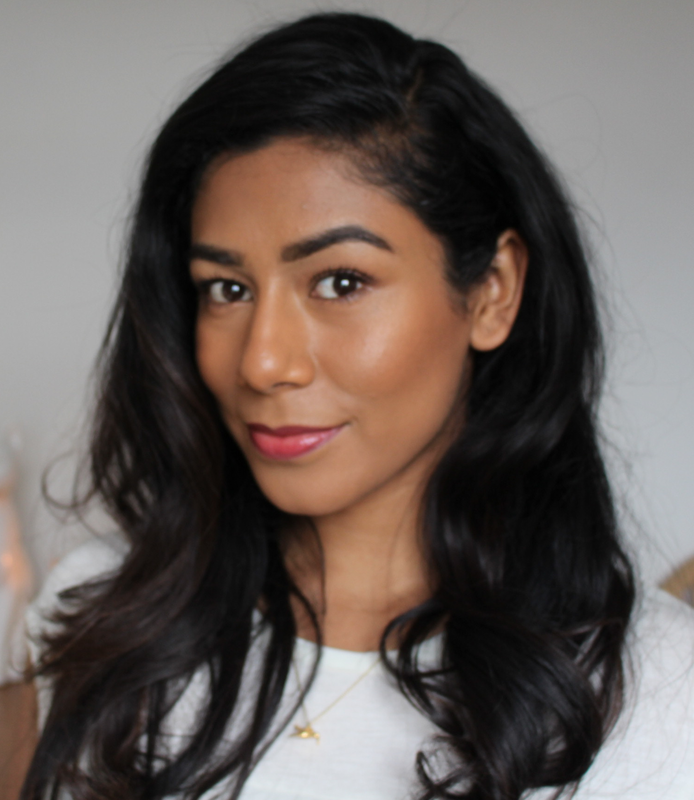 Video: Makeup Tips for Busy Mums.